Following on the heels of their successful album Little Army, Headstones have once again been busy recording new music in Kingston, with plans to release a new record later this year. 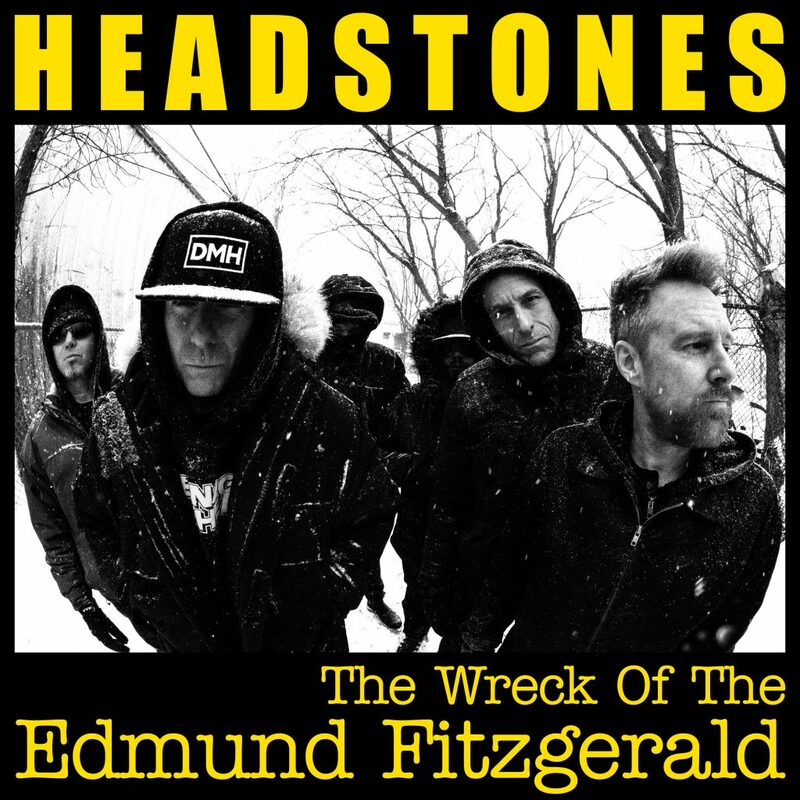 After working at The Bathouse Studio, the band was inspired to release their version of the Gordon Lightfoot classic “The Wreck Of The Edmund Fitzgerald.” Always a song on their radar, circumstances finally clicked into place to give them the right opportunity to share their take with their fans. This impactful interpretation of the iconic track chronicling the sinking of the bulk carrier SS Edmund Fitzgerald on Lake Superior on November 10, 1975 was a #1 hit for Lightfoot and remains one of his best-loved songs. While showing respect for the past, Headstones have put their unique spin on the song to introduce it to a whole new rock audience. The accompanying video was shot on location in Kingston, Ontario. For more information or tickets please visit: www.headstonestheband.com and watch our socials for more announcements. October 26, Picture Of Health - Remastered OUT NOW!